911 Restoration Denver is the company you can rely on to mend damage done by water intrusion like roof leaks, pipe bursts, and flooding. There’s no time to lose when dealing with water damage situations due to other issues that can occur. We know how urgent you need help so whenever you need a water damage situation dealt with, our water damage Columbine technicians will be there within 45 minutes of your call. Once the team arrives, you can expect them to get right to work by providing you with a free visual inspection of your property. This will help us determine the source of the problem and provide you with the right solutions to handle it. For you convenience, our specialists will be available 24/7 to lend you a hand whenever you’re in need of a fresh start! One of the major water damage situations that can befall your home is sewage backups. 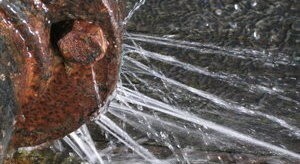 This particular problem can occur whenever pressure starts buildup within the city’s sewer system. The pressure can cause sewage to rise up into your home through a toilet. We will be wearing our protective hazmat suits to prevent any spread of pathogens within your home. We will make use of advanced drying equipment that will help us extract black water effectively. We will be using industrial strength cleaning solutions that will thoroughly cleanse all the affected sections of your home. These cleaning solutions will be strong enough to kill bacteria but will not cause any further damage to your property. We will provide a free visual inspection to check for any signs of mold growth. If we do detect any, we can provide mold remediation treatment. We will provide top quality restoration work that will give your home a much needed fresh start! Sewage backups can flood your home with black water that can cause severe damage to your interiors and spread biological contaminants that can cause all manner of illness. Whenever water damage strikes in the form of a rook leak, pipe burst, sewage backup, hose rupture, flood, or mold growth, you can trust that your home will always be in good hands with 911 Restoration Denver. Water damage situations can often come without warning and can lead to structural issues like wood rot and mold growth. To protect yourself and your home from the harmful effects of sewage water, it’s best to have the water damage Columbine specialists from 911 Restoration take care of the problem.repairs and restorations. 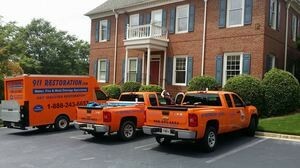 We’re available 24/7/365 to handle any and all of your restoration concerns. 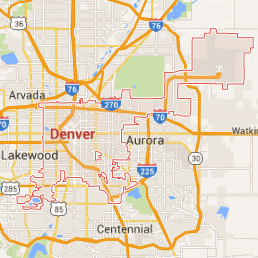 If your home is already amid a flooding scenario, then don’t hesitate to give our water damage Columbine team with 911 Restoration Denver a call today!